Price includes 24% VAT, pick up and drop off from the hotel (West from Rhodes Town to Fanes, East from Rhodes Town to Kolimbia), climbing gear, picnic with food and water. Price includes 24% VAT, pick up and drop off from the hotel, climbing gear, picnic with food and water. Arriving at Ladiko area there is a small walk through the mountains along the coast, for approximately 5 minutes. Arriving at the base point, there will be a safety briefing, an explanation of the equipment to be used, and information about how the program will run and the fun that guests can expect. When everybody is ready, we will start with rock climbing, called 'top rope'. There will be several routes to climb all with different levels of difficulty, all next to each other. 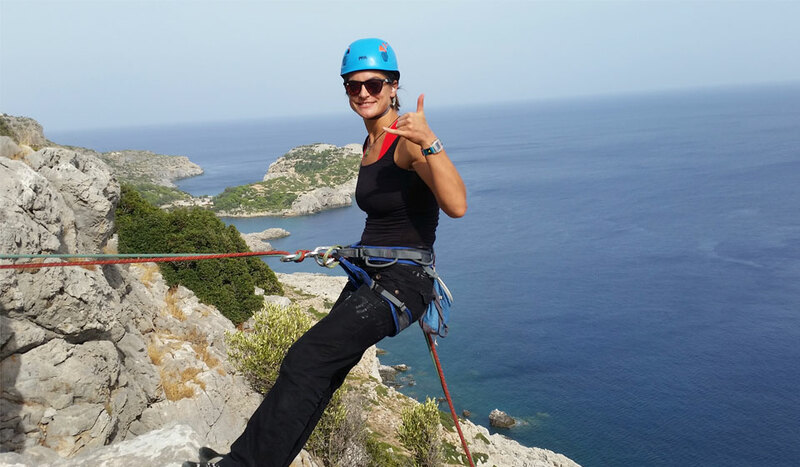 Whilst climbing, our guests will be secured and will be wearing a safety helmet at all times, experienced or not. During this climbing part of the experience, water and fruits will be available for our guests as well as a fresh sandwich. 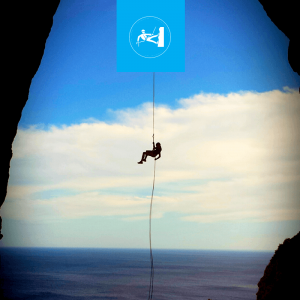 After getting familiar with climbing the wall, there is an option to do a great rappel in front of a beautiful cave nearby. To get to the starting point of the rappel there will be a 20-minute hike allowing guests to take in the most stunning views from the most advantageous points. 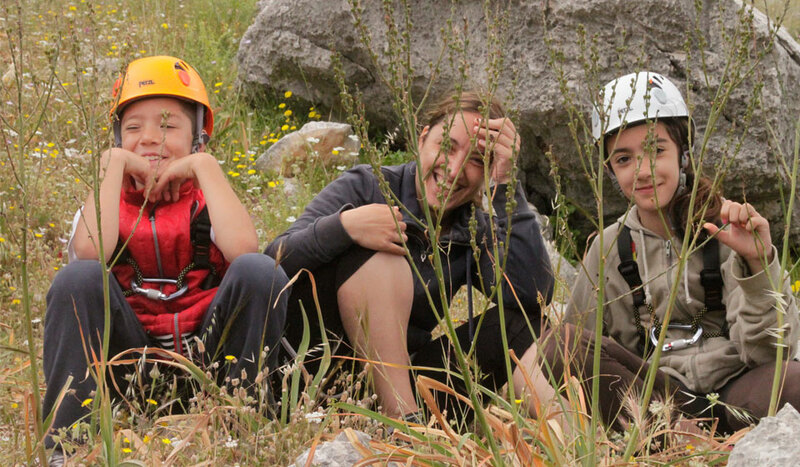 The rappel and all the immense feelings of exhilaration it brings out in our guests, is how we finish this experience. From here we accompany guests back to the vehicles and head back to the hotels for drop offs. Dress code: Comfortable with non – slippery, closed shoes. 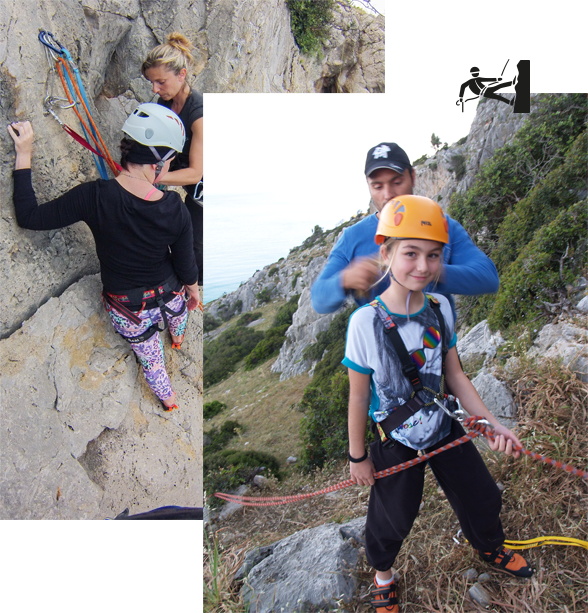 There is a discount for children and a special price for passengers: partners/ friends or family that would like to join the climber(s). Food & drinks are included in the price for everybody.